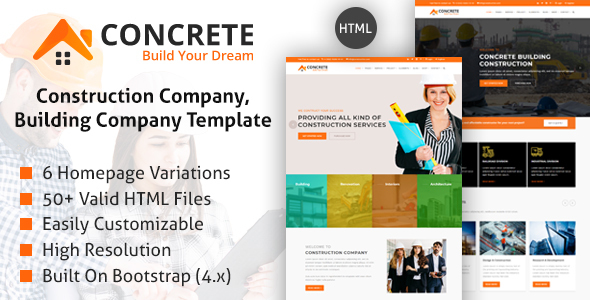 Concrete – Construction Company HTML Template has been made with Bootstrap 4.x with well-commented source code. The template has detailed documentation to make customization based on website needs. Easy to customize code, well documentation file give you full control as a designer, developer or non-technical user.